This entry was posted in books, fiction, historical, mystery, word and tagged England, reading, vocabulary. Bookmark the permalink. It’s funny when very familiar words are seen in a different context. I would use locum most days (indeed I’ve been one on occasion), but I’d never thought of a locum priest conceptually before. Plectra is clearly the plural form of plectrum when you think about it, funny how plectrum is well known- for me at least, but plectra unknown. 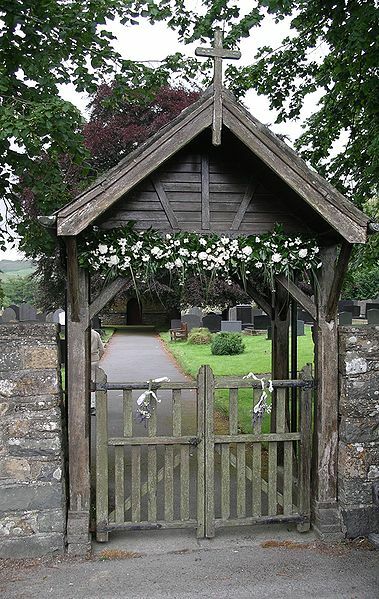 And it makes sense that there’s a word to describe a lych- gate but I would never have known what it was. Thanks. they were all new to me ,enjoyed the learning experience. I feel like I should have known a few of those, but I couldn’t have identified any of them. I knew locum (mostly from doctor, but I’ve heard of a locum priest) – and as it did for Louise, plectra makes perfect sense as a plural, I’ve just never run across it in that form before! Luthier is a lovely word. Luthier. Luuuuuuthier.